18kt white gold pendant featuring an Ikecho Pearl that is bezel set in high polished white gold. 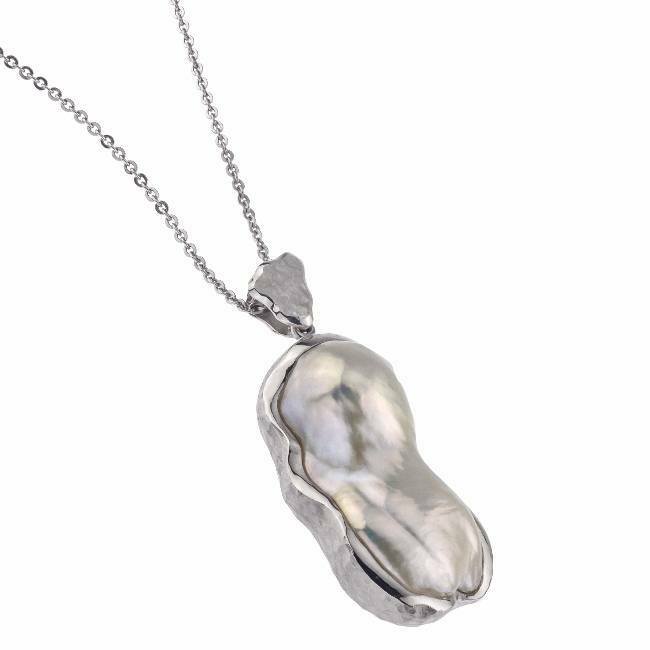 The pendant features a hammered finish. This is a Jorge Adeler custom design.